If you’re a local Corpus Christi business searching for overhead door repair services, you’ve come to the right place. Corpus Christi Garage Door Repair offers professional repairs for overhead commercial doors of all makes and styles. We know commercial garage doors, and we can help you with expert service at low, affordable prices. Our highly trained service technicians are knowledgeable of all the latest techniques and technologies to better serve you and best resolve your problem and save your business time and money. Not all commercial garage door service companies are alike, but we are proud to have built a solid reputation in the Corpus Christi business community and hope we can help you with all of your commercial garage door needs. As a business owner, you know that starting with great quality products is your first step towards achieving the look and feel you want for your company. Choosing who does the job is next. We partner with the best resources to provide the highest quality materials and craftsmanship on every project. 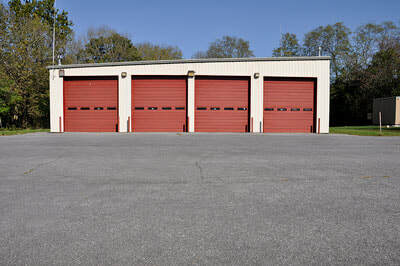 Our team provides a full range of solutions including commercial sectional garage doors and commercial rolling steel doors repairs. We are also equipped to service all brands of commercial doors and openers, with the quick response time you desire. Our service was created to promptly tackle any type of problem, damage or malfunction, regardless of the make, model or manufacturing year of your door. We can also provide special and advanced services tailored to your needs. These include emergency repair with fast turnaround times, garage door spring repair, specialized overhead garage door repair, and reliable garage door maintenance for long term dependability. If your overhead garage door is not working as well as it should, it's a good idea to get it repaired sooner rather than later. The longer you put off necessary repairs, the more irritating, or unsafe, your malfunctioning garage door is likely to be—and the longer your daily business operations will be affected. As a business owner, it’s vital to understand the warning signs of a malfunctioning garage door. 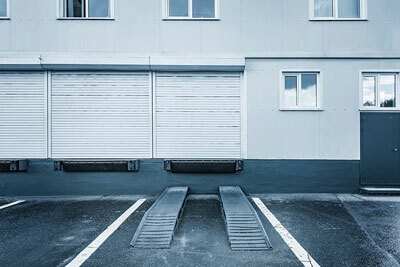 Sometimes it's that the garage door is off track or maybe a roller replacement is needed. You need your overhead door to function properly and run smoothly—not only for convenience but also for safety. There’s a few signs you can look out for in order to determine if your overhead doors are in need of repairs. The first is strange noises. There are many reasons why your door might start making strange sounds. Most likely, a creaking sound means that your hinges need to be lubricated. Additionally, an unbalanced door or a deteriorating appearance are two other tell-tale signs. You can tell if your door is unbalanced by disconnecting your door from the automatic opener and manually opening the door to about waist height. If the door goes up or down on its own, that means it's out of balance. Your garage door is also an important part of your business’s exterior aesthetic. If a dent has compromised the appearance of your garage door, consider having one of our professionals restore your door's original beauty. One common issue we come across are door that are off track. After opening and closing several hundred times, your garage door rollers may leave their tracks. One of our trained professional can get your door back on track in no time. Additionally, broken springs often create another common issue . our customers. Your door may rely on torsion springs or extension springs to open and close smoothly. Many often injure themselves when working with garage door springs, which is why it's important to hire professional help. Garage door springs are the most common repair we see in our line of work. There are a number of reasons why your springs may break. Typically, springs make a very loud noise when they break and can even be dangerous. This is why it's incredibly important to repair and maintain your garage door, as needed. Aside from an excellent balance between speed, efficiency and affordable repair work, our expert commercial repair technicians will also be quite forthcoming about every small detail of the project. They will happily explain everything so that you can easily get involved and make the most informed decisions for your business. If you’re searching for the best service in the Corpus Christi area, you will find that our expert professionals are more than willing to provide the kind of hard work, professionalism and quality workmanship that you have been searching for.